Donnellson, IA (Friday, August 24, 2018) – It’s hard to believe that the 2018 points season has come to a close at the Pepsi Lee County Speedway in Donnellson, Iowa. What was scheduled to be a special night for both the fans in the grandstands and everyone in the pits, as the Pepsi Lee County Speedway was going to offer $3 grandstands and $20 pit passes for Season Championship Night presented by Shottenkirk. But mother nature had other plans, as rains early Friday morning and more expected during the night have forced officials to cancel the night actions. With no good date open to reschedule the Season Championship Night, this will bring an end to the 2018 points season. Which means Tommy Elston (Steffes Late Models), Jeff Waterman (Budweiser IMCA Modifieds), John Oliver Jr. (Donnellson Tire & Service IMCA Stock Cars), Brandon Dale (Discount Tire & Service IMCA SportMods), and Barry Taft (Armstrong Tractor IMCA Sport Compacts) will be crowned the 2018 Track Champions. Tommy Elston would use four feature victories to help him claim the Steffes Late Model title. Sam Halstead, who visited victory lane three times, would finish 11 points behind Elston in second. Third in points went to Ron Boyse, Jeff Guengerich would finish fourth in points, with Todd Frank fifth in points. Rounding out the top 10 in points would be Darin Weisinger Jr. (6th), Gunner Frank (7th), Brandon Queen (8th), Chase Frank (9th), and Brandon Savage (10th). The Budweiser IMCA Modified track title would go to Jeff Waterman. He would use his five victories to hold off Bill Roberts Jr. to claim the title. Roberts Jr., who won four times, would finish 12 points behind Waterman in second. Mitch Boles was third in points, Dean McGee was fourth in points, with Dakota Simmons finishing fifth in points. Completing the top 10 in points was Kelly Buckallew (6th), Dennis LaVeine (7th), Craig Spegal (8th), Levi Smith (9th), and Larry Herring (10th). John Oliver Jr. would use three feature victories to help him claim the Donnellson Tire & Service IMCA Stock Car title. Jeremy Pundt, who visited victory lane once, would finish 12 points behind Oliver Jr. in second. Third in points went to Jason Cook, Abe Huls, who led the class with six wins, would finish fourth in points, with Kevin Koontz fifth in points. Rounding out the top 10 in points would be Chad Krogmeier (6th), Beau Taylor (7th), Dean Kratzer (8th), Ray Raker (9th), and Eric Glass (10th). The Discount Tire & Service IMCA SportMods track title would go to Brandon Dale. He would visit victory lane twice to go on and claim the title. Bob Cowman would finish a career best second in points. Austen Becerra was third in points, Daniel Fellows, who led the class with four wins, was fourth in points, with Kyle Hamelton finishing fifth in points. Completing the top 10 in points was Brandon Lennox (6th), Austin Howes (7th), Adam Birck (8th), Jim Walker (9th), and Ron Kibbe (10th). Barry Taft would use seven feature victories to help him claim the Armstrong Tractor IMCA Sport Compact title. Kimberly Abbott, who visited victory lane three times, would finish 7 points behind Taft in second. Third in points went to Brandon Reu, Mike Reu would finish fourth in points, with Jake Dietrich fifth in points. Rounding out the top 10 in points would be Kenny Smith (6th), Robert Sturms (7th), David Prim (8th), Mike Hornung Jr. (9th), and Josh Barnes (10th). Friday, August 24th was suppose to be the final race scheduled until the Fall Extravaganza, that is set for Friday, October 12th and Saturday, October 13th. But when mother nature claimed the only visit in 2018 by the Lucas Oil MLRA Late Models back on Thursday, May 3rd. Officials from the Pepsi Lee County Speedway and the Lucas Oil MLRA went to work on finding a date that would work best for both parties. They would agree on Friday, August 31st. Chad Simpson of Mt. Vernon, Iowa brings a 38 points lead into Donnellson next Friday. As Will “The Thrill” Vaught from Crane, Missouri sits second in points. Lebanon, Missouri’s Tony Jackson Jr. is 58 points back in third. Current rookie points leader Payton Looney of Republic, Missouri is fourth in MLRA points, with another rookie driver in Waukesha, Wisconsin’s Mitch McGrath fifth in points. Completing the top 10 in MLRA points are JC Wyman of Griswold, Iowa (6th), Jeff Roth of Bentonville, Arkansas (7th), Jeremy Grady of Story City, Iowa (8th), Jesse Stovall of Billings, Missouri (9th), and Joe Godsey, another rookie contender, of Bedford, Indiana (10th). Joining the Lucas Oil MLRA Late Models on Friday, August 31st will be the 305 Sprint Cars, Discount Tire & Service SportMods, and Armstrong Tractor Sport Compacts. The nights action will be presented by Floyd’s E-Z Way Container Services. 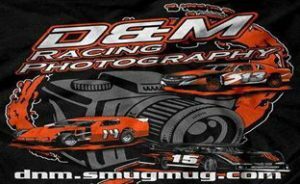 There is NO registration fess, or entry fees in the 305 Sprints, SportMods, or Sport Compacts. Plus it is a non sanctioned event, which means there is NO license to buy. It will be a draw / redraw event for the 305 Sprints, SportMods, and Sport Compacts. Gates will open at 5:30 PM, hot laps at 7 PM, and racing at 7:30 PM. Grandstand admission will be adults $20, seniors (60+) $18, students (11-17) $12, and kids 10 & under FREE!! Pit passes are $30, age (7-13) $20, ages (4-6) $10, and ages (3 & under) $5.